As many of you can confirm, we’re always on a quest for the ultimate tone, checking out all possible leads, from new modern to vintage old-school gear. I’ve had the pleasure to work along side some pretty amazing players and the people that build the gear – Brian at Top Hat amps, Mike and Bill at the Soldano factory, Victor at Mojave Ampworks and Bruce Egnater, just to name a few. 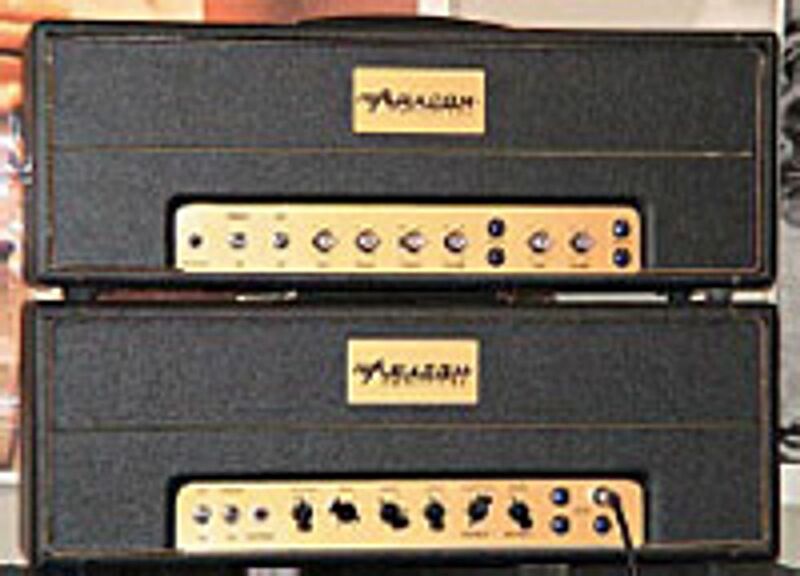 This brings us to Jeff Aragaki, a friend of ours that has started up his own line of amps, dubbed ARACOM Amplifiers (aracom-amps.com), who frequently borrows me for ears, ideas and picking. 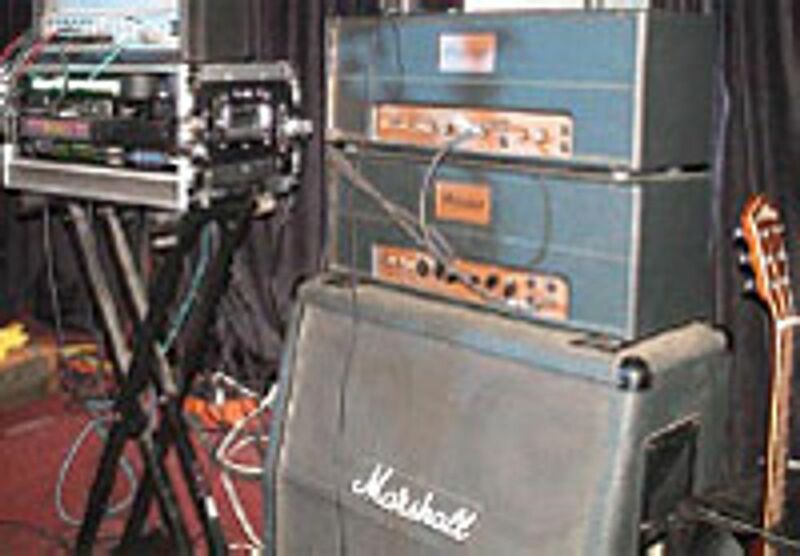 He’s built up a small army of amps ranging from 6 watts to 50 watts, all Marshallbased, and left a few around for us to utilize every way possible. Every ARACOM amp sampling just gets better and better, to the point where I had to put them to the test and give his amps a real workout. He’s making non-master volume type amps that break up nicely at bar levels, which nails the tone for blues and classic rock tunes. However, for the big gain and modern rock to vintage metal tunes our band covers, I knew I would need to rely on an effect pedal board. So I set off on an eBay GAS (Gear Acquisition Syndrome) attack, picking up a Lexicon MPX G2 effects unit and matching R1 floor control which closely resembles the Line 6, allowing you to get inside a program and turn any effect on or off without leaving the patch. The G2 features front end and post preamp-based effects, so it’s just like using a variety of pedals like wah, compressor, EQ, to any type gain pedal, all placed in front of the amp with delay and modulation effects placed post preamp. 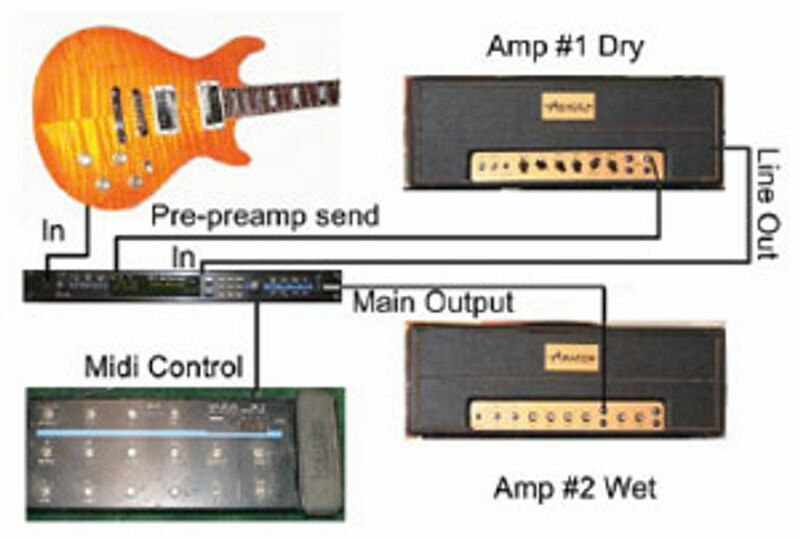 I prefer amps in a dry/wet configuration, allowing amp #1 to be unaffected and amp #2 to get all the effects, with its tone signal generated from amp #1. With Jeff and his ARACOM Amplifiers onboard, plus the addition of the Lexicon MPX G2, the tone started growing. The guitar plugs direct into the G2 input to access its front end pedals, then returns to the input of amp #1, using the ARACOM 50-watt as the main head. A line out from amp #1 is plugged into the G2 Post Preamp Input, with the Main Output returned into the ARACOM 18-watter as the wet head. The two heads plug into one stereo Marshall 4x12, dry on the left, wet on the right, creating a beautiful stereo image once you fire up a nice delay or chorus. In most cases your second amp will get the effected signal fed into the return of the effects loop – in this case, amp #2 is a non-master volume model with no loop, so plugging into the front end works great and allows you added tone control flexibility that isn’t available in a Power In or Loop Return. Also, on a quick side note, a simple rule with multiple amps usually requires you to lift the ground on the second amp with the aid of a three to two prong wall outlet adapter. Just let your ears listen for any noise – add or remove lift adapters until the noise is gone. Hope the article spurs you to plug a few things in and try out some different things. As for Jeff and ARACOM Amplifiers, just keep your ears open for the new guy coming out. It’s a great time to be a player with all the killer tube amps and modern technology infused out there. We’ll see ya next month.